Organic farmers have raised the alarm over the potential “severe” economic and environmental consequences of new plant breeding techniques for Europe’s farming sector, calling for GMO legislation to apply when approving new seed traits. In a policy paper due to be published later today (14 January), the International Federation of Organic Agriculture Movements EU (IFOAM EU) urges the European Commission to classify NPBTs as falling “within the scope of the GMO legislation”. These new techniques should “be subject to a risk assessment”, and “mandatory traceability and labelling requirements that apply to other GMOs”, according to the policy paper, seen by EURACTIV. The EU executive is expected to rule in the coming monthgs whether they fall withing the scope of GMO legislation or not. New plant breeding techniques focus on developing new seed traits within a given species through genetic engineering. Backers of the technology say they should not be considered as GMOs because no foreign DNA is present in the resulting plants, which might have developed naturally. But according to the organic movement, NPBTs use technology that interferes at the sub-cellular and genomic level. The paper continues, saying that GM techniques can lead to “unpredictable side effects”. “Living genetically modified organisms cannot be recalled once a problem is identified, and their release can lead to negative and irreversible environmental impacts”, organic farmers contend, adding that their use in agriculture could lead to genetic contamination of the gene pool and indirectly to reduced agro-biodiversity. For IFOAM, organic seed companies and breeders will be most severely affected if these techniques are authorized for release without traceability requirements. Since GMOs and products produced from or by GMOs shall not be used in organic production, “traceability and labelling is indispensable to avoid unintentional use of cultivars derived from NPBTs listed above by the organic sector”. Organic farmers call for “transparency” as well as a “legally binding obligation” for breeding companies to disclose the applied breeding methods. “Otherwise, seed producers and farmers cannot make an informed choice and this might cause unwanted contamination of organic seeds and fields,” the paper concludes. New breeding techniques (NBTs) focus on developing new seed traits within a given species through genetic engineering. They are seen as a promising new field for the agri-food sector and "are even necessary to meet the challenges of global changes such as population growth and climate change", according to a report by the European Commission's Joint Research Centre (JRC), the EU executive's in-house scientific body meant to inform policymaking. Backers of the technology say NBTs should not be considered as GMOs because no foreign DNA is present in the resulting plants, which might have developped naturally. To opponents, they are just another attempt at selling GMOs to Europeans through the back door. 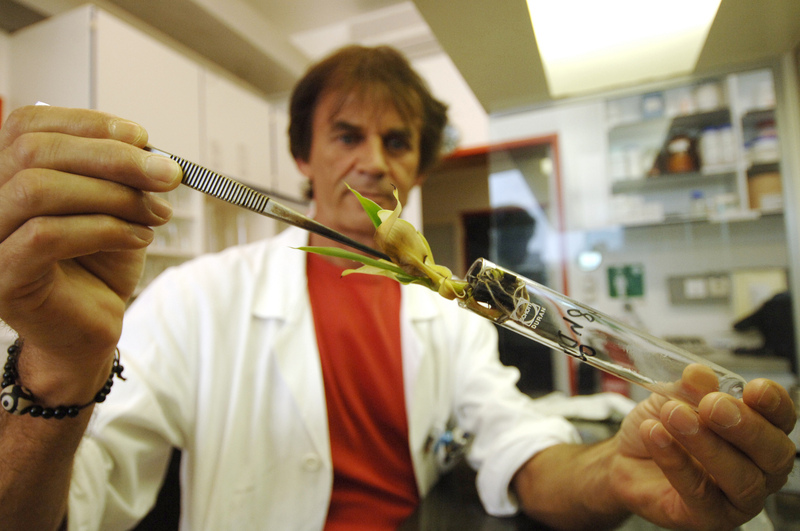 >>Read: New plant breeding techniques: Innovation breakthrough or GMOs in disguise?